Just few hours before the 66th Independence day of India, the official website of AITMC- All India Trinamul Congress, current ruling party of West-Bengal get hacked and the Archive page which records important announcements made by chief minister of West Bengal & Party Chairman Mamata Banerjee get defaced. Infamous hacker collective group Anonymous took responsibility of this hack. Team VOGH took the above screen shot was taken from TMC's website, at the time when it was hacked. The hacker group also made the effort of giving a link to a morphed image of Mamata Banerjeeand a link to another document. For privacy reason we can't mention the link here. Trinamool's cyber team removed the offensive post within few minutes. 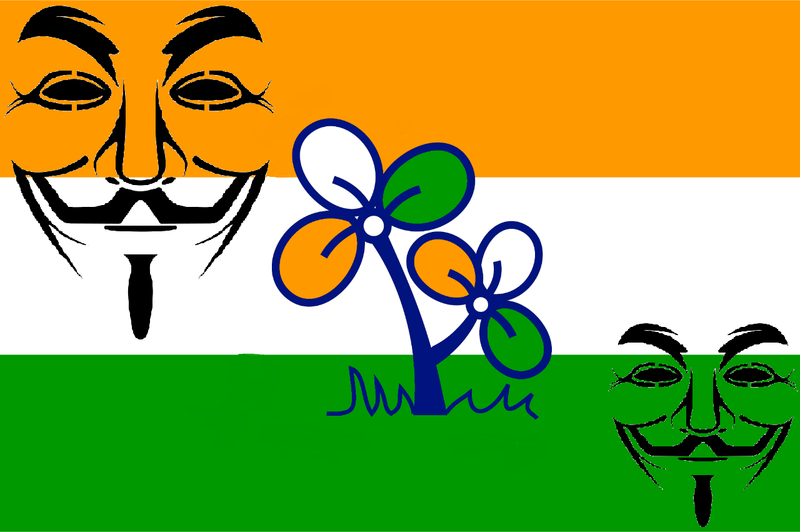 According to the party's spokes man -"TMC website was hacked at 7.30 pm and detected within six minutes by the party's cyber team that works round-the-clock , updating the site every 15 minutes." Also the Party have lodged a complaint, immediately after the mishap. This hack is not the very first attack on TMC, earlier in this year (At the time of Indo-BD Cyber-War) Bangladeshi hackers have hacked and defaced the index page of TMC's official website. 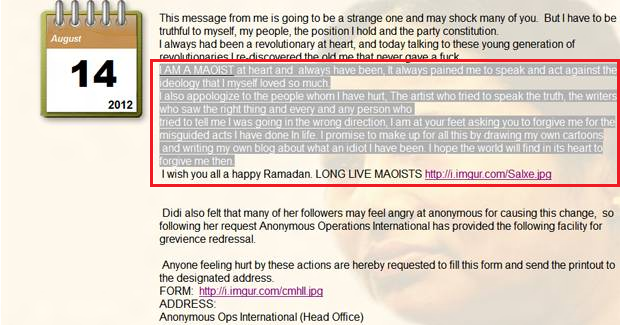 We would also like to give you reminder that, Mamata Banerjee is not the first victim, In 2011Pak Hacker named KhantastiC haXor penetrated the official site of Indian Congress and defaced the Profile page of Party President Sonia Gandhi. Also few other Pakistan hackers in early 2011 have hacked the official website of All India Congress, Bharatiya Janata Party (BJP) and so on.